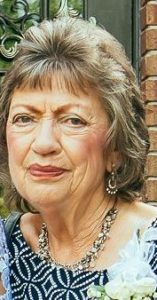 Doris Stephenson Parker, 81, daughter of the late Harvey and Lucy Mae Stanley Stephenson passed away on Thursday, February 14, 2019. She is survived by her husband, James Parker; son, Mark Parker and his wife Lisa of Clayton; brother, Billy Stephenson and his wife Liz of Garner; sister, Elaine Langdon and her husband Bobby of Matthews; grandchildren, Mark Parker, Jr. and his wife Zamara of Raleigh and Jessica Parker of Smithfield. A graveside service will be held on Monday, February 18, 2019 at 2:00pm at White Memorial Presbyterian Church Cemetery. Online condolences may be made to the Parker family at www.mclaurinatpinecrest.com. Arrangements are with McLaurin Funeral Home, Clayton.